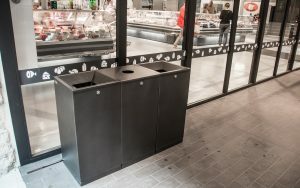 FinBin® litter bins and recycling bins are designed and produced by Lehtovuori Oy. 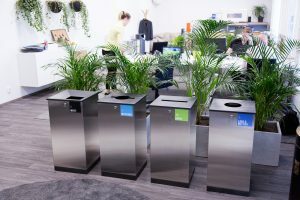 Lehtovuori Oy is a Finnish company providing living-environment products and solutions for furnishing interior and exterior environments, including litter bins, park benches, bicycles parking, shelters etc. The roots of the company date back in 1945 when a Finnish company Lehtovuori Oy was established. 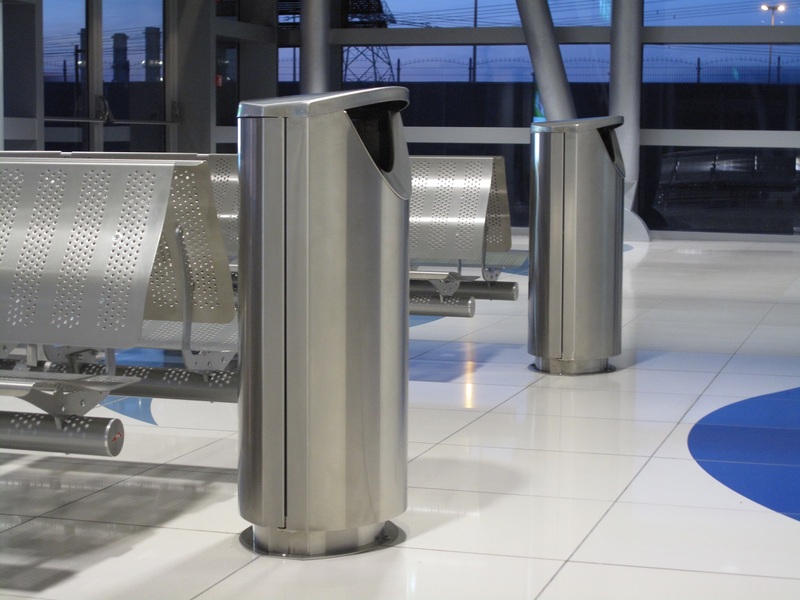 Since that the products have been strongly present in the living environments in the city surroundings, public and commercial premises, terminals, housing areas, parks, play and sporting grounds etc. 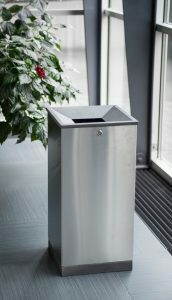 FinBin litter bins are always near at hand when needed. 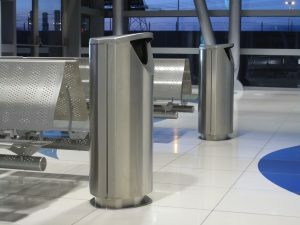 Modern and functional design fulfils the requirements of any surroundings, shopping malls, terminals, public areas, etc. 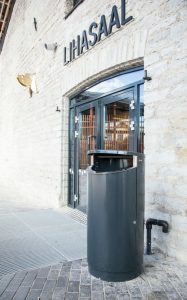 The FinBin product range is extensive and includes litter bins and recycling bins for every need. 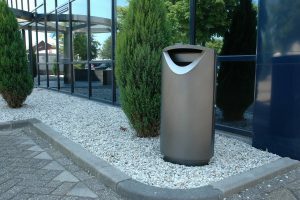 By request, FinBin litter bins and ashtrays can be designed and customised according to the client’s specifications. 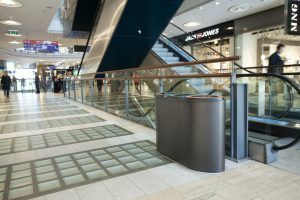 The products are designed in Finland and made of the best Finnish steel materials. 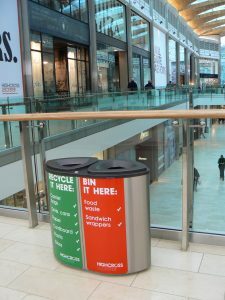 The FinBin recycling bins are designed especially for passenger areas in terminals and retail facilities. The FinBin recycling bin range consists of Bermuda, Wave and Edge recycling bin series. Standard models are in stainless-steel, with a metallic black lid, or fully powder-coated in a metallic black colour. The colour can be customised to fit the surroundings. 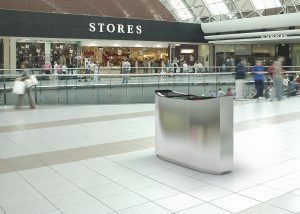 Finbin Bermuda and Edge bins are self-extinguishing litter bins. 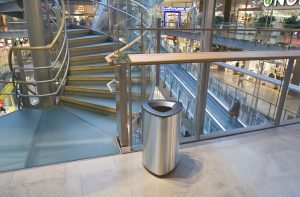 If a fire starts inside the bin, the shape of the lid directs the combustion gases, cuts off the oxygen supply and extinguishes the fire. 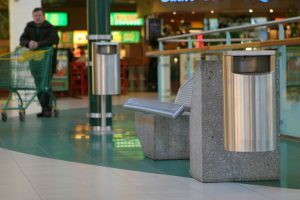 FinBin litter bins and ashtrays offer different solutions public environment, indoors and outdoors. The product range consists of various designs and sizes. Different sizes, fastening options and generous selection of colours offer unlimited opportunities to furnish the environment. CitySolar is suitable for locations where a large volume of material is collected and there is a desire to reduce the frequency of emptying. 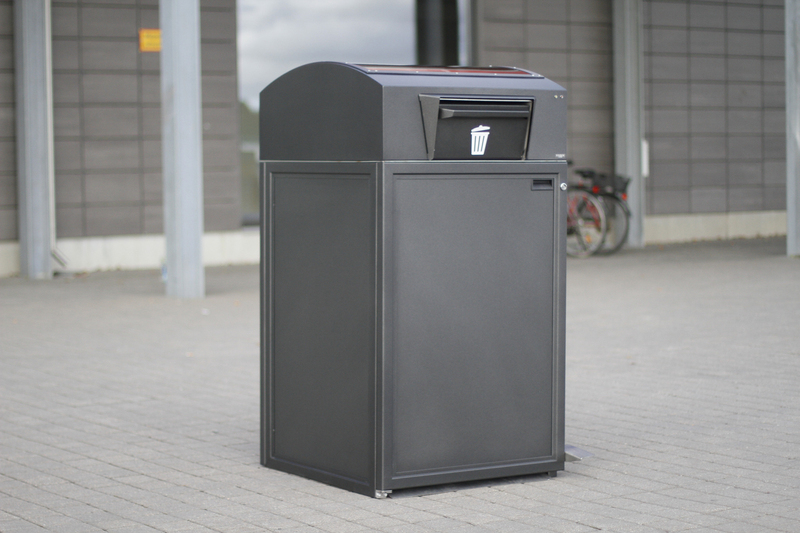 CitySolar is equipped with a solar-powered compression unit, which compresses the material collected in the 240 liter inner container, and thus the collection capacity can be utilized effectively. 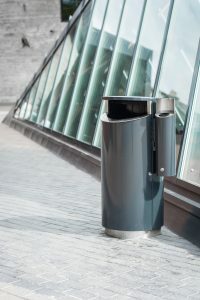 The frequency of emptying can be reduced, on a number of cased, even by 80-90%. 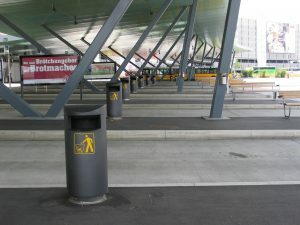 CitySolar measures the filling level of the inner container. Signal lights in the front panel of the bin indicate the filling level and when the bin needs to be emptied. Alternatively the CitySolar can be connected to Finbin®Care cloud service which provides an online platform for maintenance and management. 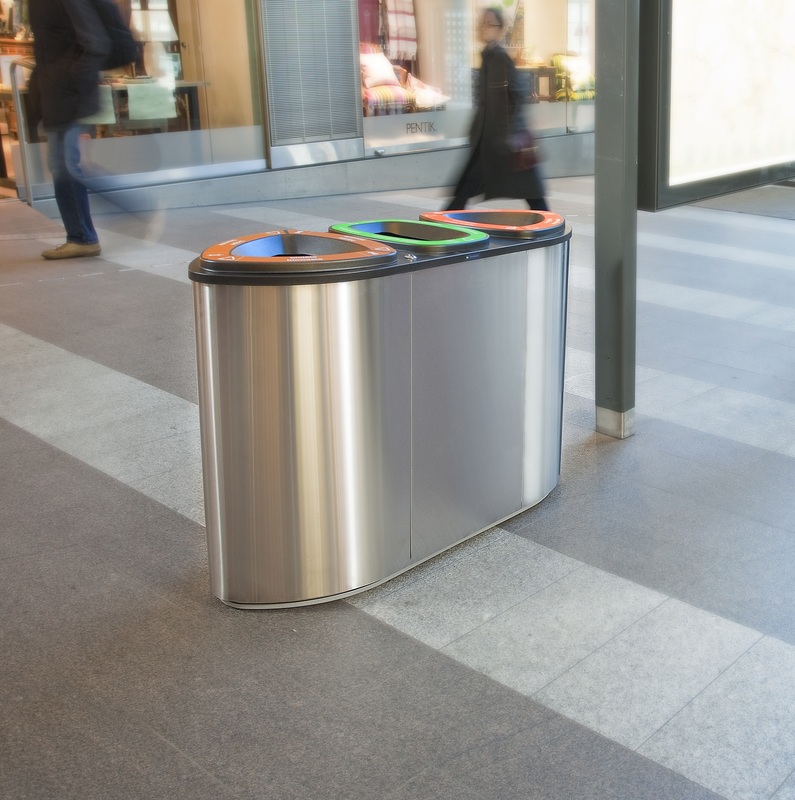 Map based Finbin®Care cloud service shows the location info and status of the collection equipment, provides basic data for statistics and sends automatic notifications by email for the responsible service provider when the bin needs to be emptied. 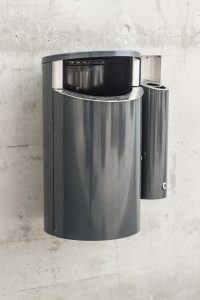 As additional options to standard models, the FinBin litter bins and recycling bins can be customized. The products can be coated with different colors to fit the surrounding. There are various options to customise the design or FinBin can offer also custom design and manufacturing services.